Polishing disc that makes quick work of medium to light imperfections! 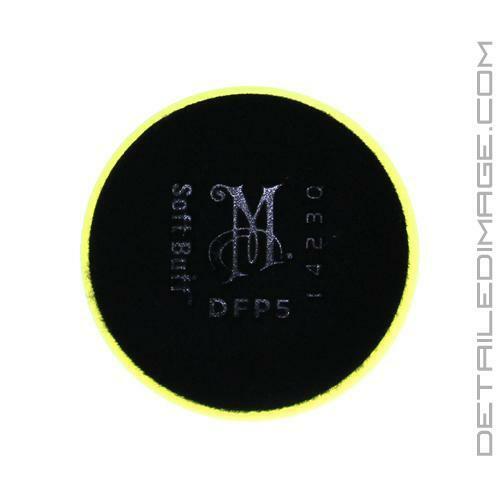 The Meguiar's Soft Buff DA Foam Polishing Disc will help you remove medium imperfections when paired with a great Meguiar's polish (i.e. M100, M105, M205 etc.). Each polish will work great, however we recommend using the M205 if you are looking to leave behind a better finish. These discs allow for better power transfer from the tool to the paint. What does that mean for you? More cut and a smoother feel through your DA polisher! These new polishing pads offer more cut than past Meguiar's pads and they are discs, not pads! This thin 17.5mm disc design allows for a lower operating temperature and a much smoother and easier feel through the machine. This allows you to end up with less haze left behind and excellent results! These pads work great on any DA Polisher, however Meguiar's really recommends using them on the MT300 Dual Action Polisher with the Soft Buff DA Backing Plate for best results. 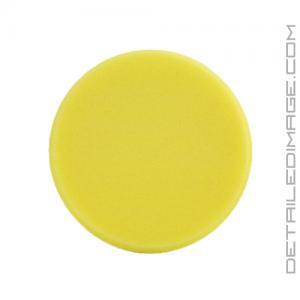 Polishing Disc (Yellow) - Great for removing medium to light imperfections. You will see an increase in cutting ability with your favorite compound or cleaner, however a great finish with less haze will be left behind as well. I have picked up a few of these pads and I really enjoy them. I have tested with M105, M205, and Rupes UHS polishes. All with great results. These pads will build little heat even with a large stroke machine. Man do I appreciate doing business with folks like you. Thanks!! !